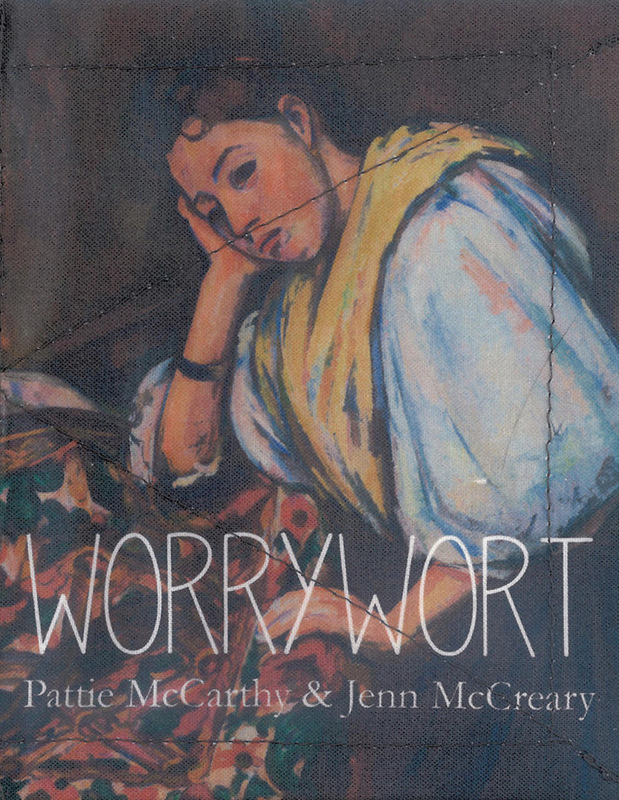 I am tremendously proud to announce the publication of worrywort, a collaboration with fellow Philadelphia poet Pattie McCarthy, now available for purchase, here. 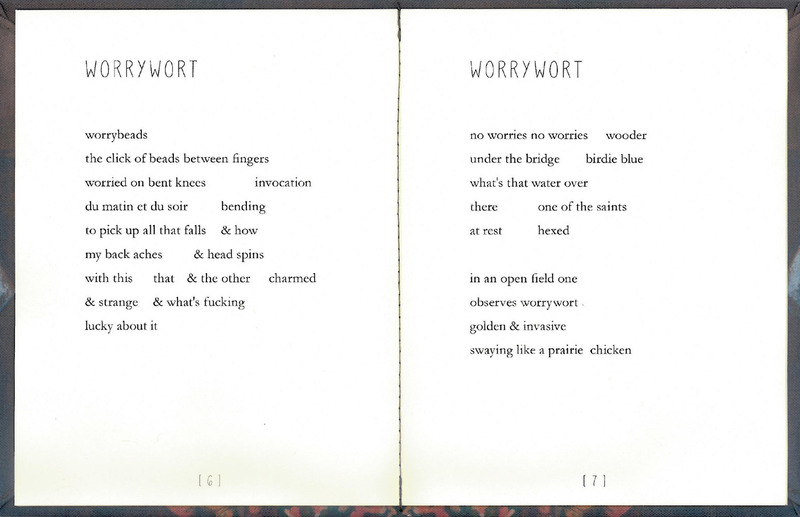 Written over correspondence via text message & email while on (separate) vacations with our respective families during summer 2013, & revised/tidied up upon our return, worrywort should be read while listening to this. PATTIE MCCARTHY is the author of six books: nulls (forthcoming, Horse Less Press), Quiet Book (forth-coming, Apogee Press), Marybones,Table Alphabetical of Hard Words, Verso, & bk of (h)rs. She is also the author of L&O, a chapbook published by LRL in 2011. A 2011 Pew Fellow in the Arts, she teaches at Temple University. JENN MCCREARY’s latest full-length collection, & now my feet are maps (December, 2013), is now available from Dusie Press. Other works include The Dark Mouth of Living (Horse Less Press) ab ovo (Dusie Press), a doctrine of signatures (Singing Horse Press), & Odyssey & Oracle (Least Weasel Press). 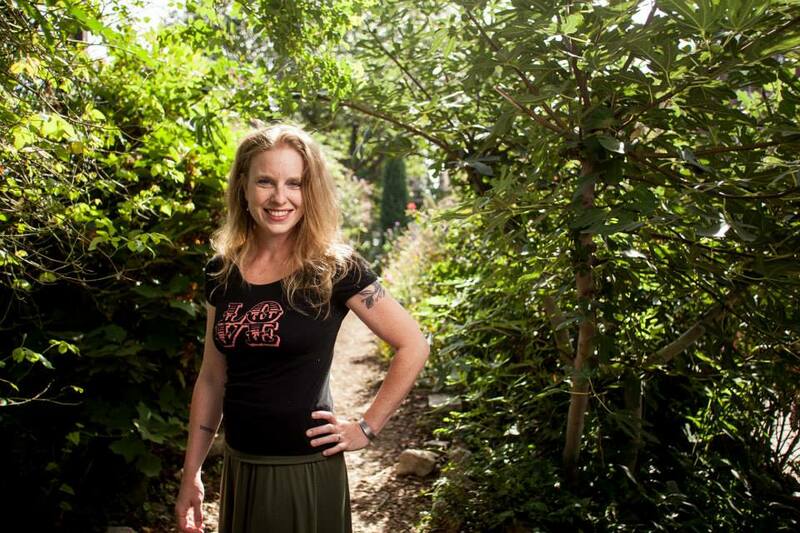 A Pew Fellow in the Arts, she lives in Philadelphia, where she edits ixnay press, & was recently named a 2013 Pew Fellow in the Arts for poetry. A project of little red leaves, the textile series takes the hand out of “hand-sewn chapbooks.” It’s real work in the age of mechanical reproduction. It’s the little sewing machine that could. It’s ironed and folded and sewn and pulled and the threads stick out. Kelly Writers House invited eight poets, scholars, & fans of CID CORMAN (Al Filreis, Laynie Browne, Thomas Devaney, Gregory Dunne, Pattie McCarthy, Joshua Moses, Frank Sherlock, & me) to read & comment upon selected Corman poems, one poem per person. As part of our new “Fellows Friday” web feature, we focus on the artistic lives of our Pew Fellows: their aspirations, influences, creative challenges, and everyday lives. & so I answered some questions. & (as they pointed out) used a lot of ampersands, which I tend to do. My fellow Fellow & long-time poetry confidante/co-conspirator/doppelgänger, Pattie McCarthy, once wrote: “laziness gave us ampersand & I am happier for it” [read the complete poem in her Duration Press e-book, alibi (that is : elsewhere) here]. & so say I, I agree. I also cannot resist the shape of it. You can read the Q&A (& count my ampersands) on Pew’s site here. When I was seventeen, I attended a summer arts program, the PA Governor’s School for the Arts, a competitive state-wide scholarship program for 200 or so precocious artsy teens [funding for which was unfortunately cut several years ago]. Six-week sleep-away camp for writers, musicians, visual artists, dancers. Imagine. Besides meeting, for the first time, an entire swarm of kids like me – a literal tribe, who would much rather spend their summer indoors working on their chosen art than playing outside in the nice, fresh air/sunshine, & then staying up all night talking about it – I met teachers [including Pew Fellow Whit McLaughlin, who was theatre director, & now runs the fantastic New Paradise Laboratories here in Philly] who treated me like I already was an artist. Like that bit was a given, & that their job was to help refine my practice, & (just as importantly) to instill a commitment to arts advocacy. & clearly, I drank the kool-aid: I grew up (ahem) to be a poet who co-edits a small press, & works a day job at a public art/art education/social justice nonprofit. Sally Mann’s The Perfect Tomato, if the Guggenheim wouldn’t mind parting with it. A piece of Jenny Holzer’s — a small bench or table. That’s two.What music are you listening to? (and/or) Which books are on your bedside table? I’m listening to the new Throwing Muses album, Purgatory/Paradise (which was mixed by my fellow Fellow & old friend, music genius Bhob Rainey)— Kristin Hersh has provided my personal soundtrack constant since high school. & also to more Leonard Cohen than I probably should be, but his is good music for long, dark winter days. The books on my bedside table at the moment are Vladimir Propp’s Morphology of the Folk Tale, & Clarice Lispector’s The Foreign Legion. The books always on my bedside table (or in its drawer) are Mary McCarthy’s The Group, Helene Cixous’s Coming to Writing, & Carol J. Clover’s Men, Women, & Chainsaws — which are my insomnia reads, having read them forward & backward more times than I can count. Make of that what you will. Do you parents understand what you do? Are they supportive? I’m not sure if “understand” is the word—we don’t really discuss my poetry, other than it being something I do. That is, they’re proud & pleased when I tell them about a new book, but we don’t talk about the books themselves, or my projects. They were quite happy about the Pew Fellowship, I think in part because it was something institutional, validating— perhaps because it seems grown up, rather than “Jenn’s still writing poems” [insert image of surly teen me, hiding in bedroom with stack of books & scribbling in journal, instead of playing outside in the nice fresh air & sunshine]. My dad (a behavioral psychologist by training) is always vaguely concerned my poems (which he claims not to understand) are about him. In case he’s reading this, they’re not. This weekend, Joe Milford hosted eight Phillysound Poets on his internet radio program, The Joe Milford Poetry Show. On Sunday, May 16th, I’ll be reading at Zinc Bar in the East Village with the lovely Pattie McCarthy, whose new book, Table Alphabetical of Hard Words is now available from Apogee Press. 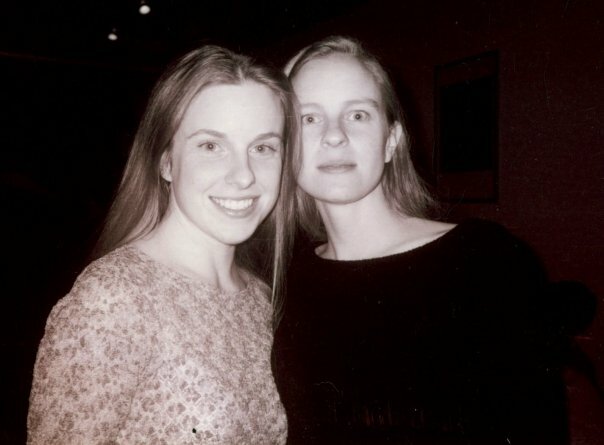 For nearly fifteen years, we have been mistaken for eachother in several cities, including at a reception following Pattie’s reading at the culmination of her MA at Temple in the late 90s (when someone complimented me on her reading), & at my own reading at Chapterhouse Cafe in Philadelphia this winter (when someone thanked her for my reading). It is entirely possible that reading in the same place at the same time could cause some sort of tear in the space-time continuum. Or maybe a tesseract. Zinc Bar, 82 W 3rd St.